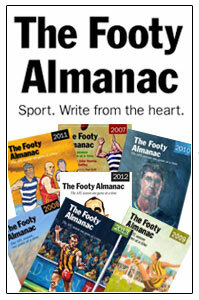 PD: Hi Domenic and welcome to the Junior Footy Almanac. Can you start by telling us how you became involved with the Footy Almanac? DF: Thanks Phil. 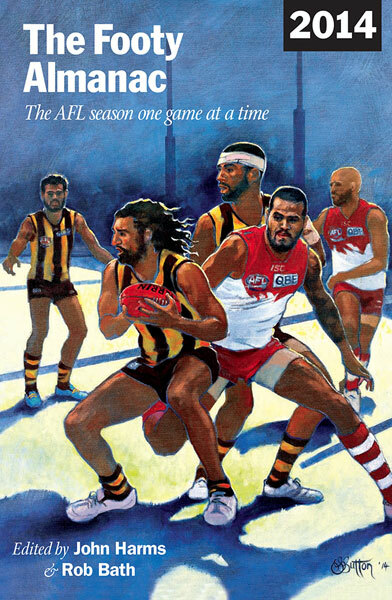 My involvement with the Footy Almanac began with a gift, the 2008 Footy Almanac, which began a series of events that led to my eventual contributions around soon later. I began reading the Almanac and at the same time came to find an interest in sports journalism. So, i thought by beginning to contribute to the footy almanac, I could kickstart a possible career in sports journalism. PD: What did you like about the concept of the Footy Almanac? DF: The ‘fan’ feeling grabbed me instantly when I starting reading the Almanac, which completely contrasts with the regular unbiased article from your ordinary journo. I believe that sometimes you need that fanatical touch to your writing, as it creates passion and excitement, which attracts readers. PD: Good point. What do you remember about your first match report? 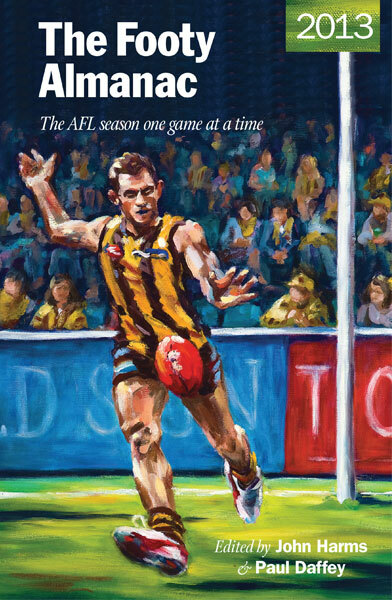 DF: My first match report, Richmond V Brisbane 2010 up at the Gabba, I remember this report for the very passion and excitement that I love in writing, as the game was a heated and tense one which only saw my beloved Tigers kick away in the last quarter. I remember writing about the ‘feeling’ of a Tigers win, the aftermath, the ‘good’ week to follow, which would be free of stereotypical Tigers ramble, and full of promise. At least until the next game. PD: Writing about a Richmond win was a rare start. How did you come to follow the Tigers? DF: I’m glad you asked. Well, my dad is a Hawks supporter and if I had of sided with him, I would have experience several finals series and a premiership. However, my uncle who is a mad Tigers fan brainwashed my brother and I, and it has stayed that way ever since. We got to games together all the time which is great. PD: Do you think Richmond’s improvement is for ‘real’ this time? DF: Yes I do think it is real and while the win/loss ratio is not in our favour, you have to remember where Hardwick started from (turned over half the list in two years), the fact that we are the youngest list in the comp apart from the expansion teams, and that we are bound to lose so many games like we have under 15-10 points due to this lack of experience. We have been a bit unlucky this year, the Geelong game, Collingwood’s 5 minute burst against us, North’s win this week by 4 points. This year could have been very different if the ball had bounced out way a couple of times. Finals certainty next year! PD: I agree. The midfield is brilliant, Mullet Maric has improved the ruck and the defence is much tighter. Who are some of your favourite players in the AFL? DF: Trent Cotchin would have to be my favourite. 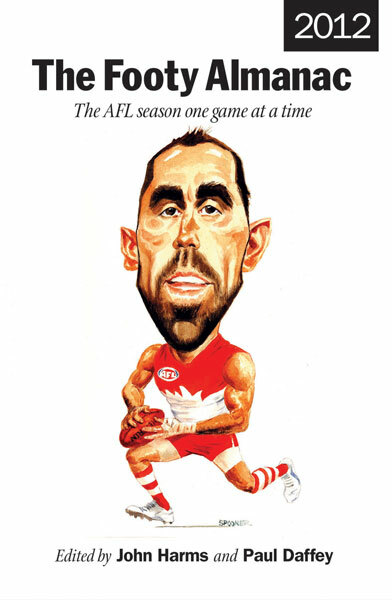 Personally, I think he is Ablett-esque. But, other than Richmond, I’ve always admired Judd even since his WCE days, his intelligence and professionalism which compliments his brilliance on the field is great. PD: Terrific. Tell us about your studies and your future aspirations when you finish school? DF: Studies are going well, really well at the moment in year 12. I’m studying English, History, Legal, Psychology and PE at the moment which is great-no maths . I plan to get into the Sports Journalism course at La Trobe University next year, and will go from there. PD: That’s excellent. 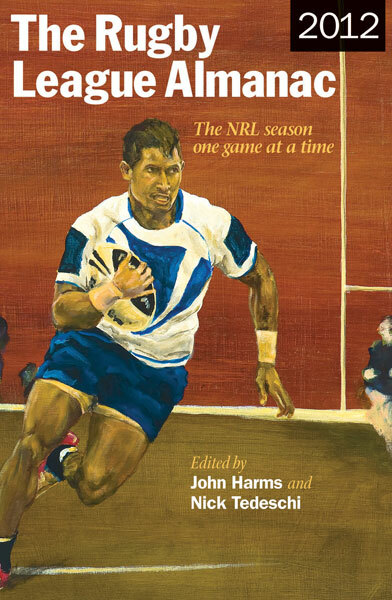 Do you plan to write about footy mostly or a range of sports? DF: Mostly Footy, but I’d be happy to write about any sport, particularly soccer and tennis. PD: Who do you follow in soccer and who are your favourite soccer and tennis players? DF: I follow Man United (not a glory fan), Ac Milan and Melbourne Victory. Favorite players would have to Mario Balotelli for sure, his erratic but he’s deadly in front of goal. Favourite tennis player would be Federer without doubt. PD: Who are some of the writers you admire? DF: I really like Jon Ralph from the Sun, his footy brain is awesome and he does not just scrap around for the cheap headline. Also, I enjoy reading Rohan Connolly’s stuff from the Age I was listening to him this morning on SEN and he seems to explain his views with ease and does not hesitate or crumble when asking hard questions. PD: Are you interested in the London Olympics and if so, which events would you be keen to watch? DF: Not a huge interest in the Olympics, but I’ll definitely be watching the Under 23 soccer (Brazil’s young guns) and tennis at Wimbledon, which should be good. I dont mind watching the swimming as well. PD: Can you tell about some of your favourite movies, music, TV shows and Apps? DF: Favourite movies would definitely be the Dark Knight Trilogy hands down, just saw the latest one and it blew me away. Music, i will listen to anything depending on my mood. Favourite TV Show apart from the footy shows and sports shows would have to be Modern Family, such a funny show. Favourite App… goal.com to stay up to date with soccer news and Mt Buller, to keep an eye on the slopes! PD: Great variety there Dom. What is good and not so good about the game today and how do you see footy evolving in the next few years? DF: I don’t like the over-umpiring that occurs during the home and away season, but then seems to be fine in finals. Umpiring should be at the consistent level that is shown in finals, all the time. I’d like to see a Tassie team in the next few years, but I don’t think Andrew the Great is too keen on that. PD: Yes, the inconsistency has been more apparent this year. What advice would you give to young Almanckers, keen to contribute to the book and to the website? DF: Show some form on the website and you’ll be picked in the book. Also, have some variety in your articles, i.e. different sports, opinion pieces and factual essays. PD: Domenic, it has been a pleasure featuring you as part of our successful young Almanacker series. Thanks for your insights. DF: Thanks so much for all the time and effort you’ve put in for me, and the others. It’s been a pleasure. John Harms is a writer, broadcaster, publisher, historian, speaker and teacher. He loves stories.